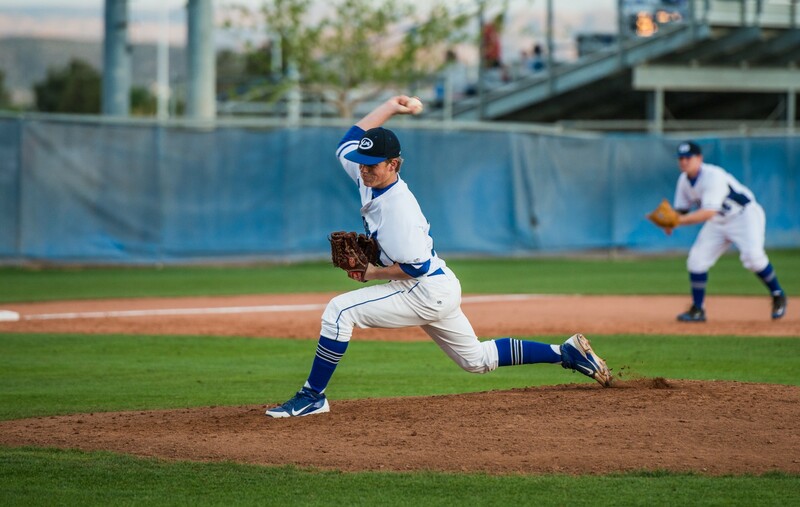 OREM – Dixie High pitcher Trevor Cox delivered a complete game to give the Flyers their second win of the day, 3-1 over Payson, to stay alive in the hunt for the 3A state baseball title Thursday at Brent Brown Ballpark. Despite a scare in the first inning, DHS quickly recovered from a 1-0 deficit and held on to the lead the rest of the night. The Payson Lions came out guns blazing in the first inning, scoring a run and loading the bases with only one out before a huge 5-3-2 double play shut them down. The Flyers never looked back. After the gut check in the top of the first, Dixie’s Braxton Ipson answered with a solo home run over the right field fence to knot the score. The Flyers built upon things in the second stanza. In the bottom of the second, a blooper by Tanner Webster brought in a run and a sacrifice fly by Drew Batchelor put the Flyers up 3-1, a lead they would not relinquish. Webster, who had a great day from the plate with two hits and an RBI explained his success. After DHS took the lead, excellent pitching by Cox and great defensive play by the Flyers kept the Lions off the board the rest of the night. Cox only allowed four hits and recorded six strikeouts to seal the victory for the Flyers. His teammates added that Cox has a knack for getting his team out of sticky situations. Braxton Ipson said that his team’s desire to win helped them stay alive Thursday night. Earlier Thursday Dixie, 18-9, rallied from a 5-2 deficit to eliminate Morgan 11-5. 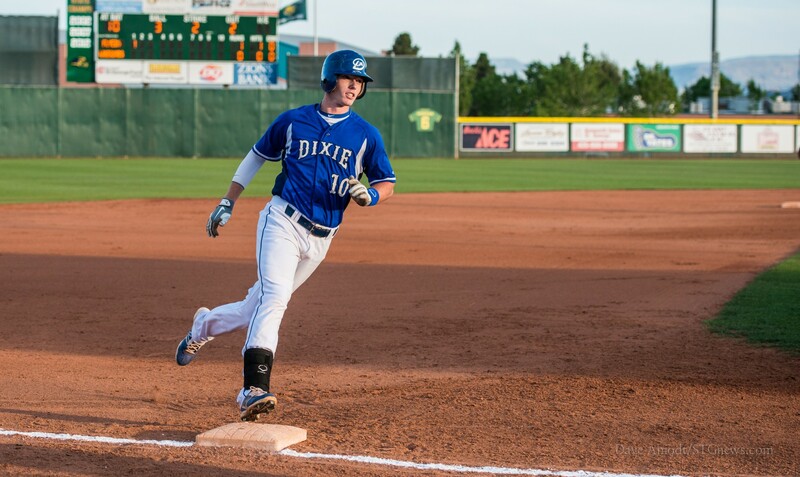 Taylor Strehlow and Cox both doubled and Dixie pounded out 12 hits. Austin Ruseler got the win as Dixie scored eight runs in the final two innings for the win. The Flyers advance in the one-loss bracket and play Region 9 foe Canyon View Friday at 1:30 PM at Brent Brown Ballpark on the campus of UVU.